There are all sorts of apps out there to help you find friends and partners. You can make friends with new people or find a date. Once you find someone, you are on your own. How that relationship goes forward is not something you have much control over. The same could be said about the existing relationships in your life. How do you ensure that you are doing the right thing in every relationship so that it continues smoothly? There is an app called PersonalityMatch that helps you address many parts of your relationships with your friends, loved ones and partner. This review introduces you to this unique app and explains its features. PersonalityMatch has a simply strategy that helps you learn about yourself and improve your relationships. Once you sign-up for an account, you can take a personality test. Answer a few questions, and the app’s algorithm will determine your personality type. You can then invite your friends to take the test and create their own personality profile. If your friend has completed the test, you can compare your personality with theirs. The app will not only display a compatibility score, it will also point out there areas where you two match and where there are potential differences. 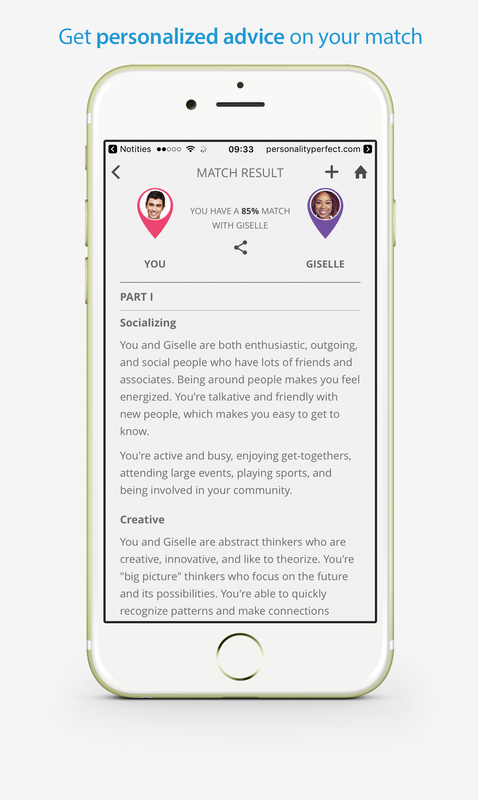 This description of PersonalityMatch obviously sets it apart from other types of relationship apps in the market. It takes things further and also provides tips on how you can sort out the differences with a friend or partner. And this recommendation doesn’t come from a computer program, it comes from the works of real psychologists. You will be taking the world famous myers briggs test. 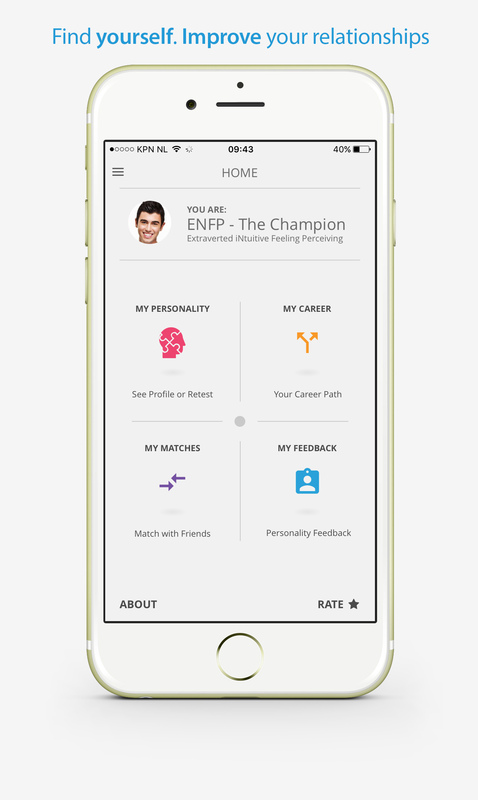 PersonalityMatch offers personalized recommendations based on the traditional psychological tests conducted by some of the world’s most renowned and accomplished psychologists and their theories. The company specifically quotes that the relationship advice is based on the tests and works of Carl Jung, Isabel Briggs Myers and Katharine Cook Briggs. The compatibility score is measured in the 0%-100% range. You can ask your friends, pattern, family members, and colleagues to join and take the test. Unique Personality Test: Answer 30 questions developed by renowned psychologists to complete your personality test. Compare Personality Type: You can compare your personality with any friend who has also completed their test. You can also learn about their personality, including their strengths and weaknesses. Resolve Common Dissatisfactions: This app’s proven algorithm will help you identify common dissatisfactions and areas of conflicts. You can also learn about what your partner desires and get personalized advice on what steps to take to eradicate issues and boost your relationships. Similarly, you can also learn about your friends, loved ones and coworkers and improve your relationship with them. Thus, PersonalityMatch goes beyond just telling you about your own personality. It can tell things about your partner or friend you may have never known about. The information can then be used to improve your relationships. Besides personal relations, this app can also help you improve your professional life. This app is available for free and you can install it on your iOS or Android device. PersonalityMatch’s uniqueness lies in developing an algorithm that bridges the gap between human knowledge and computer programs. You can then compare your personality type with anyone and get results that weren’t possible before. This app gives you an entirely new perspective to your relationships. You can check your free personality test here. 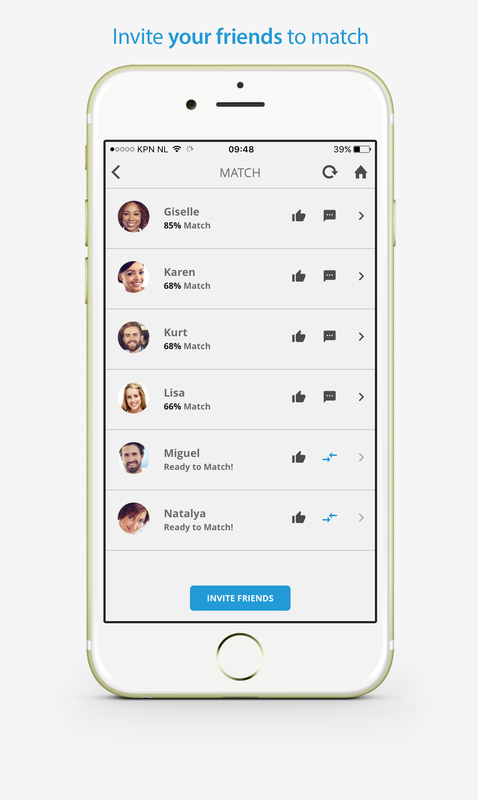 With PersonalityMatch, you are no longer sticking to the old strategy of making friends or finding dates. It adds a new paradigm to the social networking arena where your goal is to improve your relationships. You can invite your friends, partner and loved ones to take the personality test and find out how your personality matches with them. Once you have the compatibility score, you can get a detailed analysis and get personalized recommendations on how to steer your relationship in the right direction. In fact, you could learn things about your own personality that you may have never known before. Everyone who uses this app will discover new things about themselves. It also helps you dsicver the secrets of different enfj personality types. This is made possible because its personality test and algorithm are based on proven psychological tests and theories.